Here at B&M, we love the changing of the seasons. Autumn giving way to winter, winter gradually making way for spring. We love the change not just for the warmer weather, but because it gives us a great opportunity to take a fresh look at our homes. 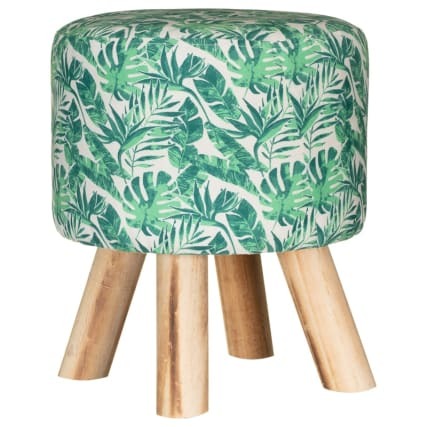 And if you’re looking for a change, you’ll be glad to hear our latest spring/summer ranges have landed in-stores: everything from long fur cushions and tropical leaf footstools, to contemporary string chairs and gold pineapple ornaments! The tropical theme has gone from strength to strength, with its gradual popularity across all our home ranges culminating in a tropical taste sensation to rival a pina colada (or a pack of Starburst, depending on your preference). 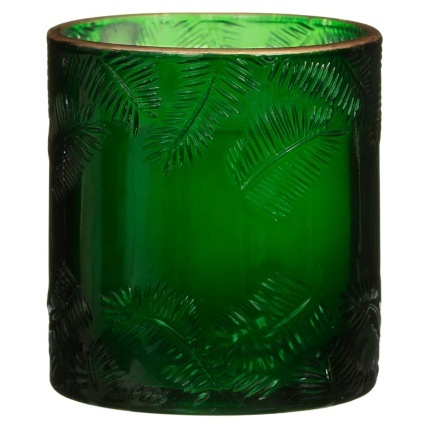 Big green palms are very much in, and you can get your hands on some stunning home décor at B&M in this motif. 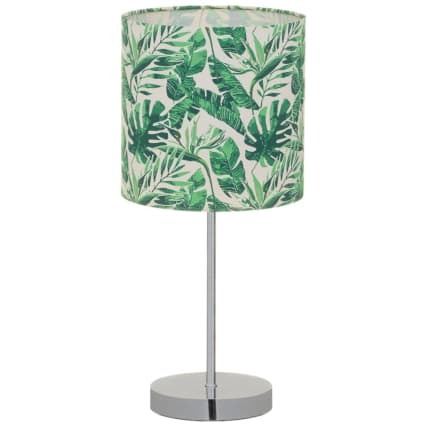 Pair our Tropical Leaf Table Lamp with the Tropical Leaf Footstool for a splash of colour, and offset them with the striking Golden Pineapple Ornament. It’s nothing if not bold, but after months of drab weather, why not push the boat out (all the way to the Caribbean no less)? Our Tropical Scented Candle will evoke the sweet smells of pineapple and mango; all that’s missing is the touch of sand under your toes and that cool sea breeze on your face! 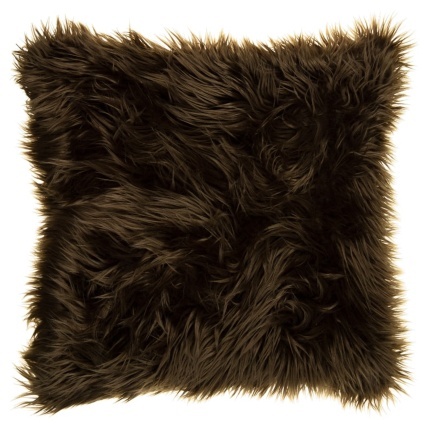 B&M Top Tip: our Mongolian Cushion is a cuddly favourite, while the sleek, modern table is our Patina Metal Table in gold. Palm leaves look great on furniture too! 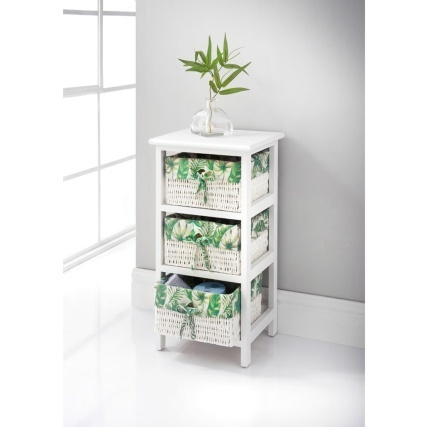 Our Juliet Tropical 3 Drawer Chest is so practical and incredibly versatile, looking stylish in any room. Whether it’s to keep safe your bits and bobs, your toiletries or your swimsuit and snorkel, these charming wicker drawers fit the bill in utility rooms, bathrooms…wherever! And don’t you think the Decorative Cactus Ornament goes effortlessly with the tropical trend? 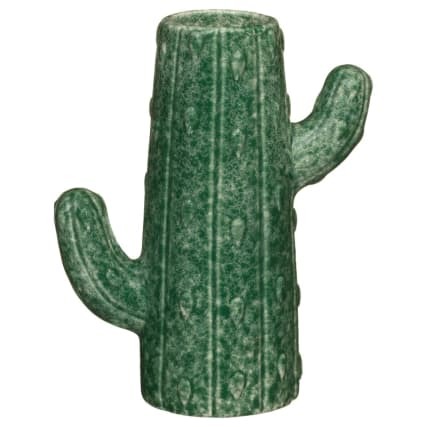 The best thing about this fake cactus is that you won’t get stung (and we mean on price too! It’s an absolute bargain at just £2.99). The best thing about our Hawaii String range of furniture, is that it looks just as sleek inside as it does outdoors! Our string chairs were one of our most-loved lines last year, and now you can choose between White, Grey and Tropical Green. Pair with the Hawaii String Table and kick back with a tall glass of something ice-cold and fruity; it features a tempered glass table top so it’s well up to challenge of hosting. Talking of bringing the outside indoors, our Tropical Palm Wallpaper provides the perfect backdrop for your tropical themed room. 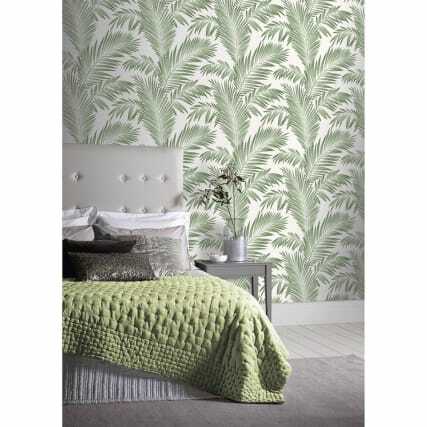 With metallic highlights and lush green leaves, the easy-to-apply wallpaper will refresh any living space. B&M Top Tip: don’t you just love our gold Plant Pot, with its brushed metal effect and tripod stand? It’s perfect for cacti, jade plants and all kinds of succulents! 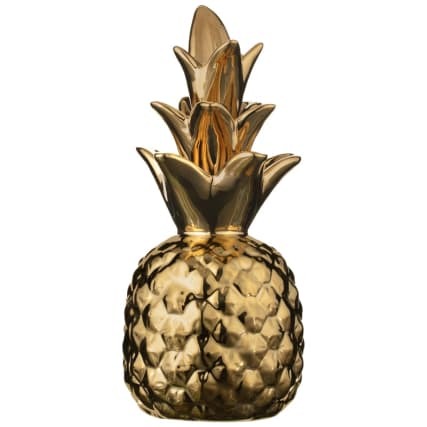 Which home décor line do you love most from our tropical range? Share your bargain buys with the B&M Community on Facebook, Twitter & Instagram.